Itâ€™s almost Easter! 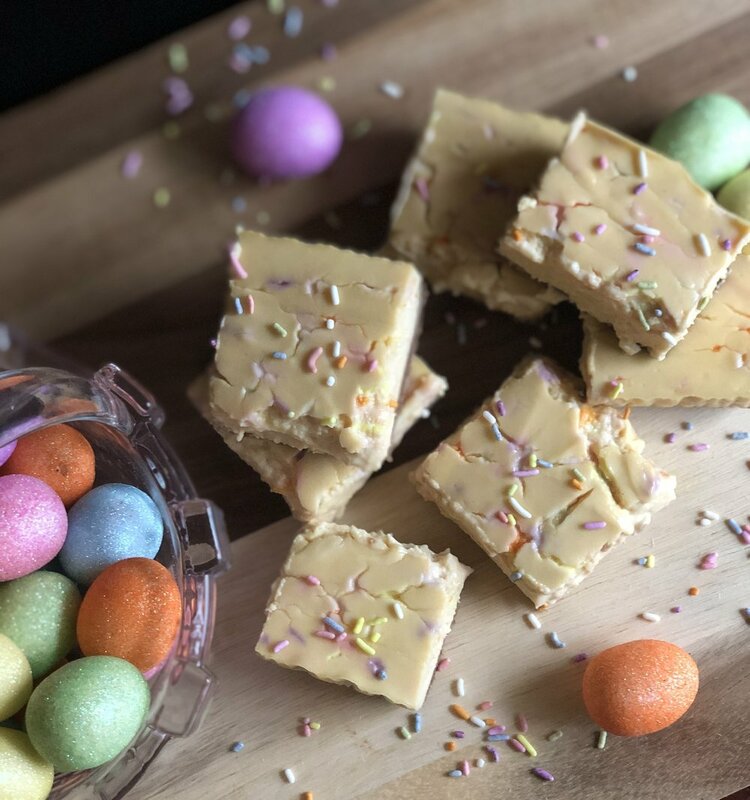 And Easter is the perfect time to eat pretty, pastel treats as we celebrate the risen King! 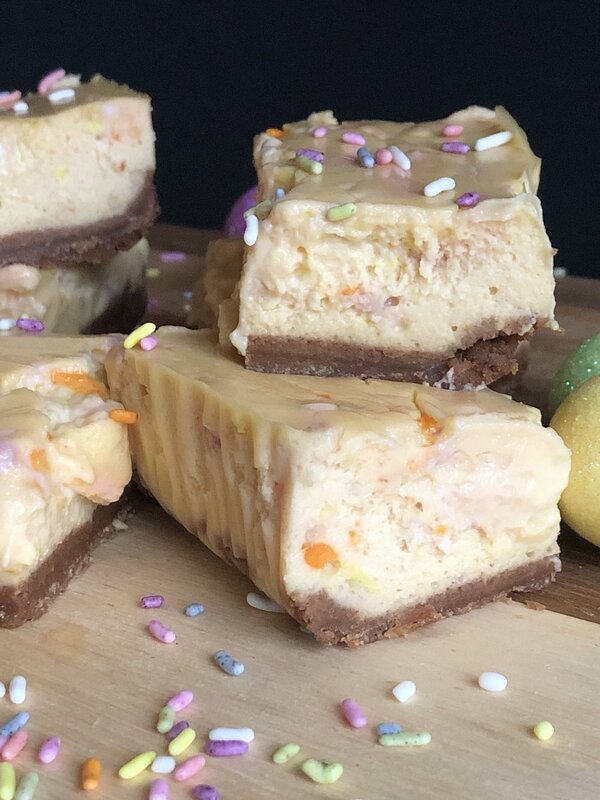 I wanted to create funfetti cheesecake bars that are grain free, dairy free, and paleo and Iâ€™ve done it! ðŸ™Œ Theyâ€™re creamy and you would NEVER know that theyâ€™re free of all that junk in store bought and processed cheesecake. Bonus: you can add any extras that are your favorite- lookinâ€™ at you blueberries, strawberries, and chocolate chips. Youâ€™re going to love them! Preheat oven to 350F. Place cookies in food processor and pulse until a fine flour. Drizzle in melted butter or ghee and pulse until a crumbly mixture forms. Pour crust mixture into a parchment lined baking pan (I used 8x8) and press down to form crust. Add all ingredients but sprinkles to a mixing bowl. Using either a standing mixer (recommended) or a hand mixer, mix for at least one minute, or until mixture is incorporated. Gently fold in sprinkles. Pour batter on top of crust mixture. Bake for 30 minutes. After baking, let cool for 10 minutes then pop in the fridge for several hours or overnight (recommended). Pull bars out by pulling parchment out of pan, and slice into bars. Add more sprinkles if desired. Keeps in the fridge in an airtight container for 5 days. Also freezes well.